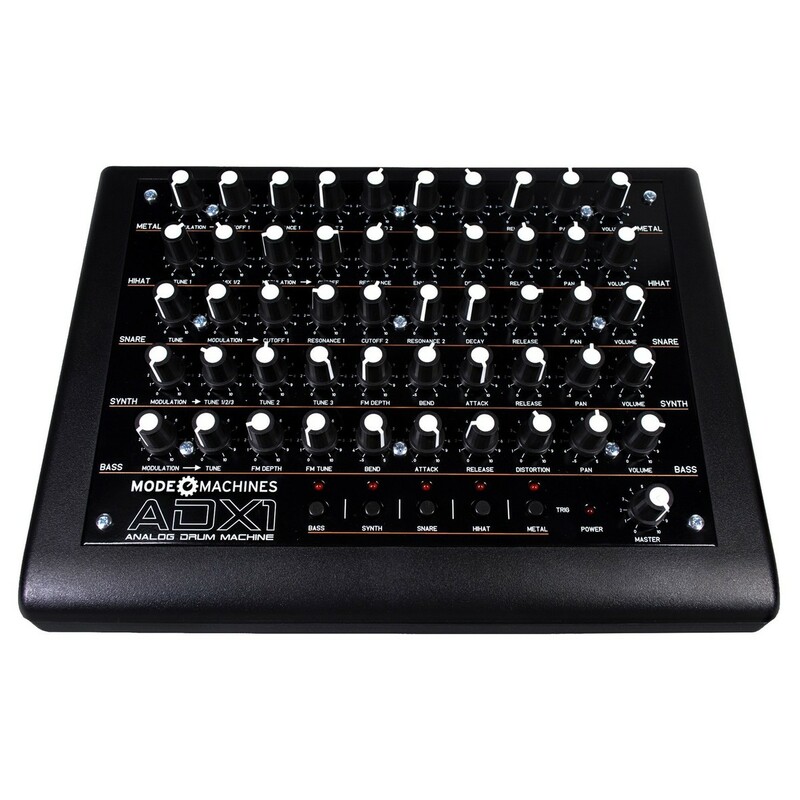 The Mode Machines ADX-1 is a compact, analog drum machine featuring 51 buttons in total and 8 controls per channel. 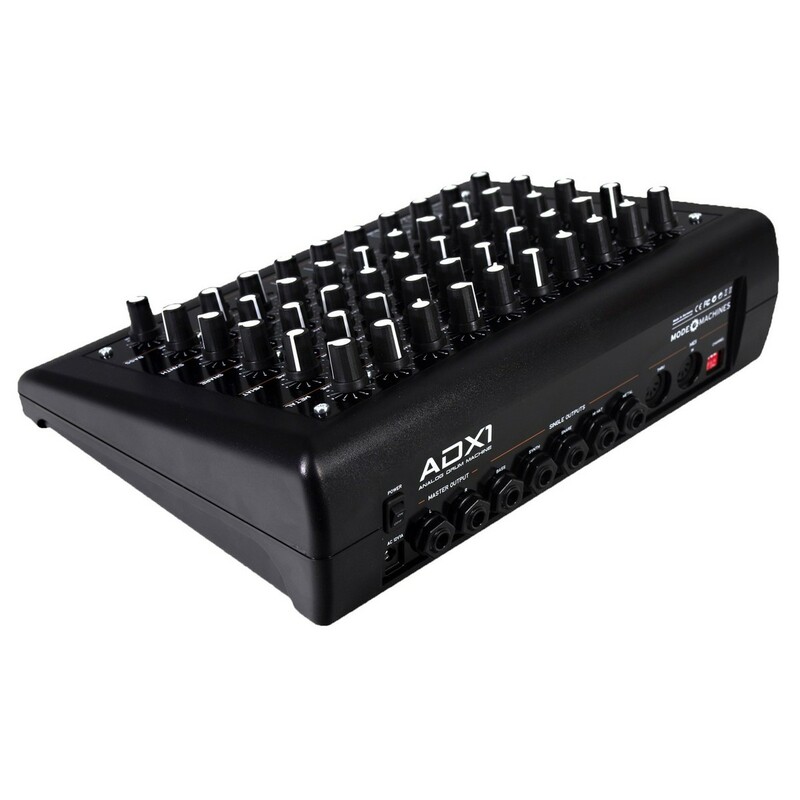 The Mode Machines ADX-1 features a 5-channel configuration with each of the channels offering different sound palletes. Each individual channel includes dedicated sound including: Metal, HiHat, Snare, Synth and Bass. The sounds themselves are generated using metallic-sounding noise generators for true analog sound. 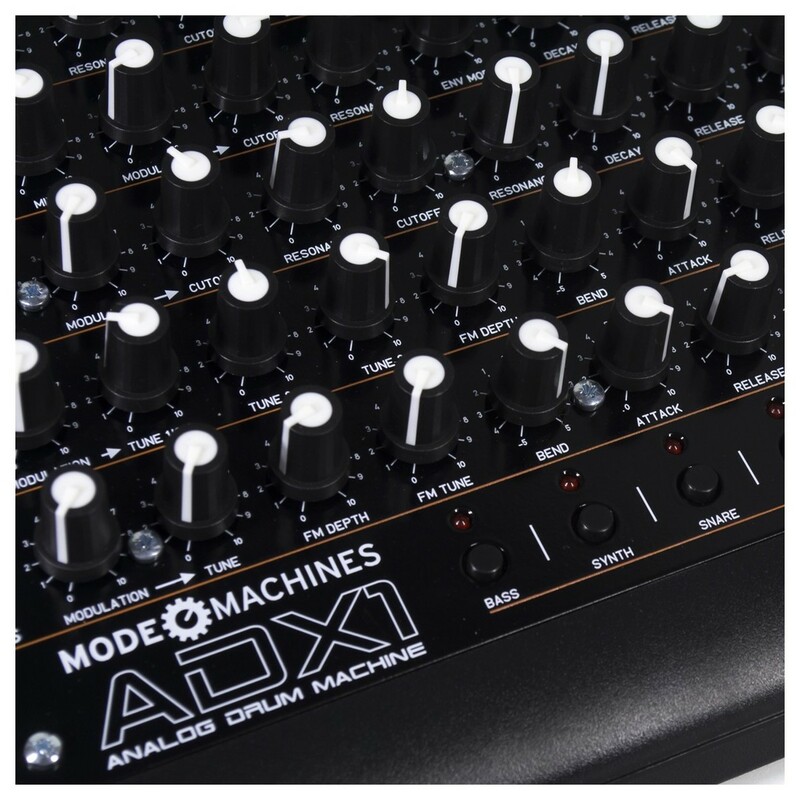 The Mode Machines ADX-1 Analog Drum Machine also includes two filters, Envelope/Modulation options as well as Decay & Release controls. 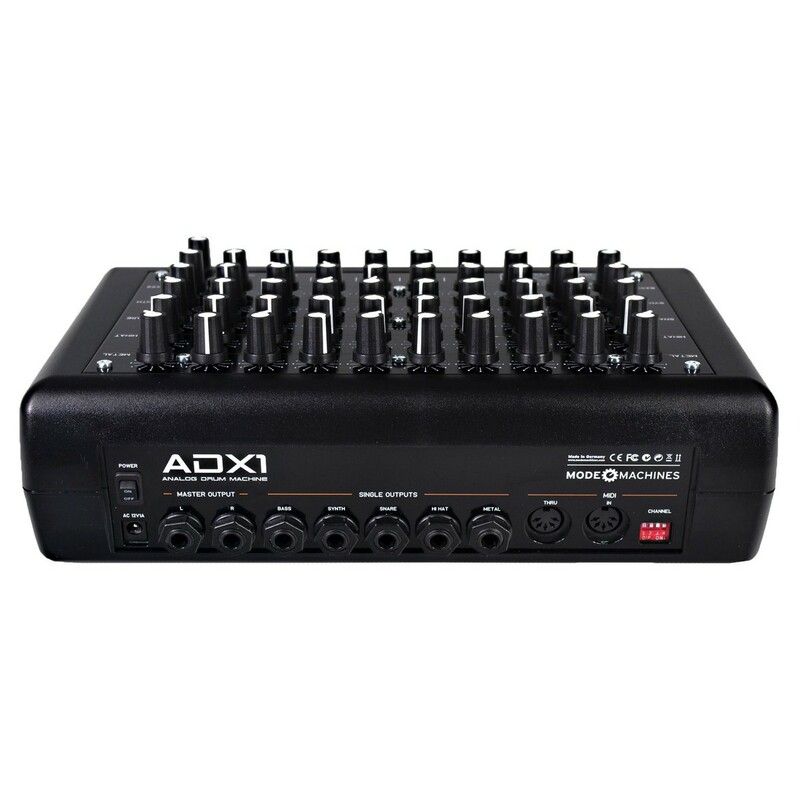 It also includes MIDI connectivity, allowing you to use the ADX-1 with a range of other equipment. The Mode Machines ADX-1 Analog Drum Machine is a compact, vintage-style drum machine and expander. The ADX-1 features 5-channels of analog drum sounds with 8 controls per channel, allowing you to create a wide variety of sound. The analog sound is thanks to the metallic-sounding generators. The 5 channels consist of: Metal, HiHat, Snare, Synth & Bass sounds which can all be modulated and sculpted to create your own unique sounds. The Metal channel is used to create cymbal sounds and consists of two different metallic-sounding generators. The HiHat is comprised of a single metallic-sounding noise generator and one clean signal. The Snare channel is created using one metallic-sound noise generator and put through two band pass filters. The Synth channel is used to create sounds such as bells or synthesizers, consisting of 3 oscillators, with 2 and 3 featuring editable pitches. Each channel features 8 controls, with the full unit boasting 51 buttons in total. 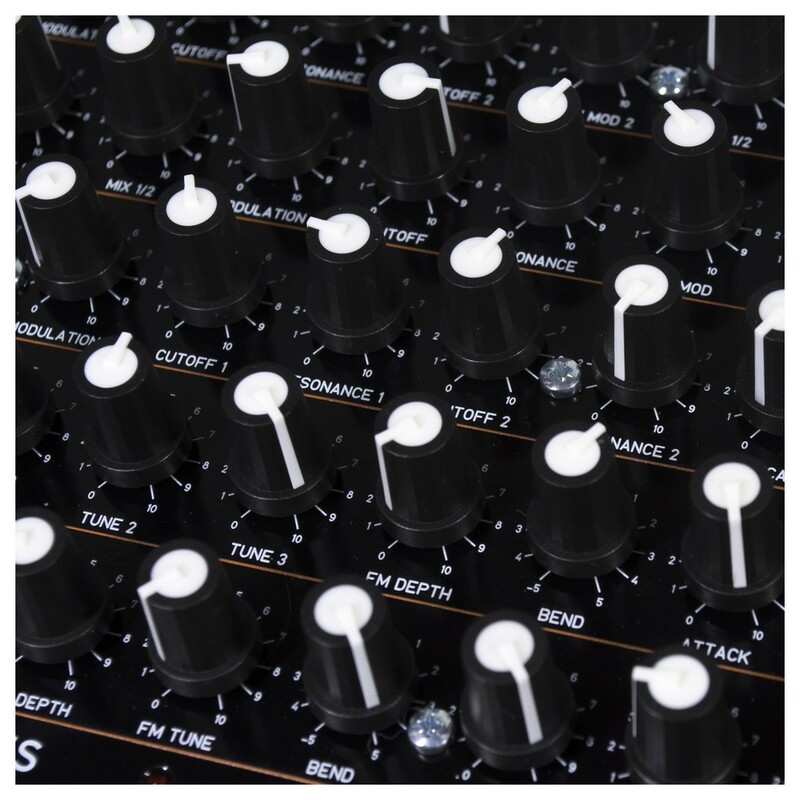 The eight pot controls on each channel give you precise control over all the parameters and modulation. The controls range from modulation to tuning, FM depth, bend, attack, release, resonance and more. Each channel also features its own output at the rear of the unit, allowing you to connect the ADX-1 to a range of external devices. Each channel has its own individual modulation and parameter controls as well as 1 panorama and 1 volume control. The lightweight yet robust design of the Mode Machines ADX-1, makes it ideal for live and studio applications alike. The portable design makes it perfect for any digital musician on the move, fitting easily into larger backpacks. All the encoder pot controls are designed using robust materials for exceptional longevity. The rear of the ADX-1 features an MIDI port for connecting to external devices such as computers. You can also use the MIDI connection to trigger the unit to play. Two master outputs are also included on the rear of the unit for connecting to speakers and mixers alike.